A state-owned Estonian wind farm launched a cryptocurrency mine on Friday, hoping to cash-in on Mother Nature's unlimited supplies of power on a windswept Baltic Sea island, a company official said. 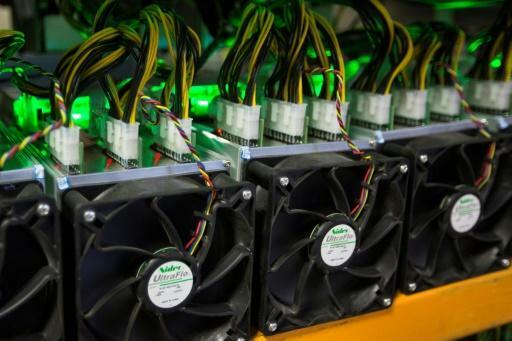 Mining virtual currencies, like bitcoin, ethereum or ripple, requires powerful computers that are voracious users of electricity, making it uneconomical to mine without a cheap source of energy like wind. "It is great that the decentralised money transfer blockchain technology has found its way to our wind farm. Hopefully, it will be a fruitful cooperation," Oleg Sonajalg, an Eesti Elekter board member said in a Friday press release. Blockchain, or so-called distributed ledger technology, is a cutting-edge computer platform that underpins trading in bitcoin and other cryptocurrencies. Eesti Elekter set up a container with banks of computers hooked up for 24-hour cryptocurrency mining at its seven-turbine, six-megawatt Salme wind farm on the island of Saaremaa off Estonia's west coast. "The more synergy between future technologies we find, the more able to compete we will be in the future," Sonajalg said.